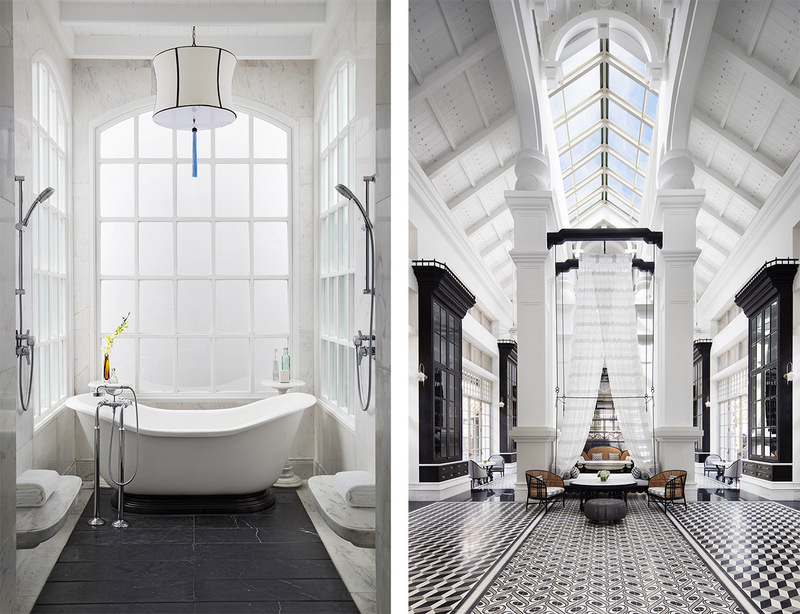 For his latest property, the Bangkok-based designer conjures a narrative of a fictional university dressed up in French Colonial architecture on the island of Phu Quoc. 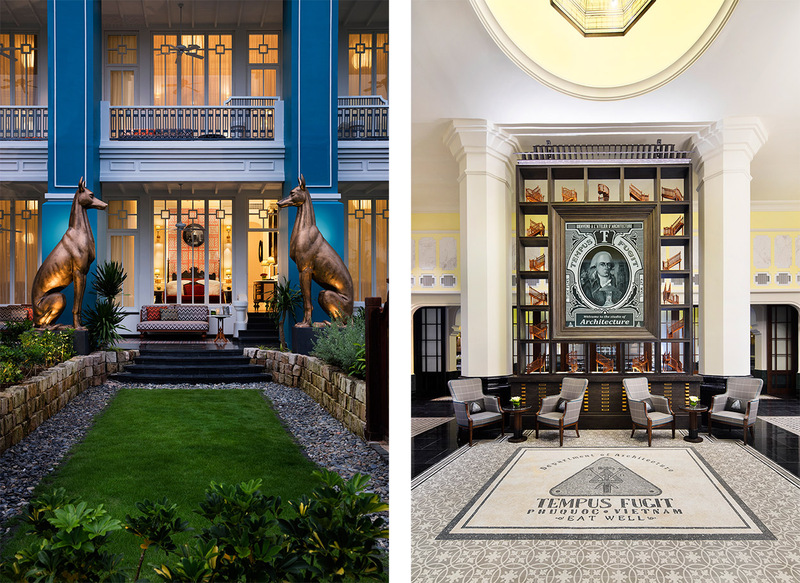 In Vietnam, the legacy of bygone French rule is woven into the country’s fabric, most notably in the historic colonial buildings left behind that, in recent years, have begun to disappear as new development accelerates. 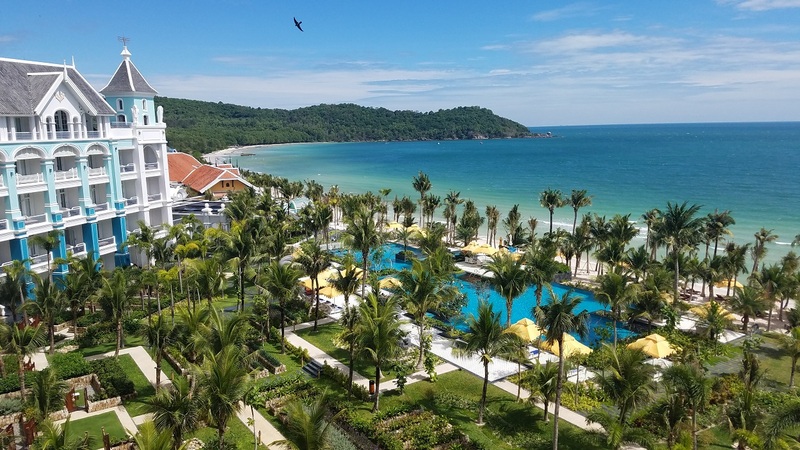 Enter Bill Bensley and the new 243–room JW Marriott Phu Quoc Emerald Bay, which opened recently on the sunny island of Phu Quoc. The unorthodox American designer paid homage to colonial architecture with a collection of structures inspired by Hoi An’s brightly hued homes, the anchors for a fictional campus he calls Lamark University. 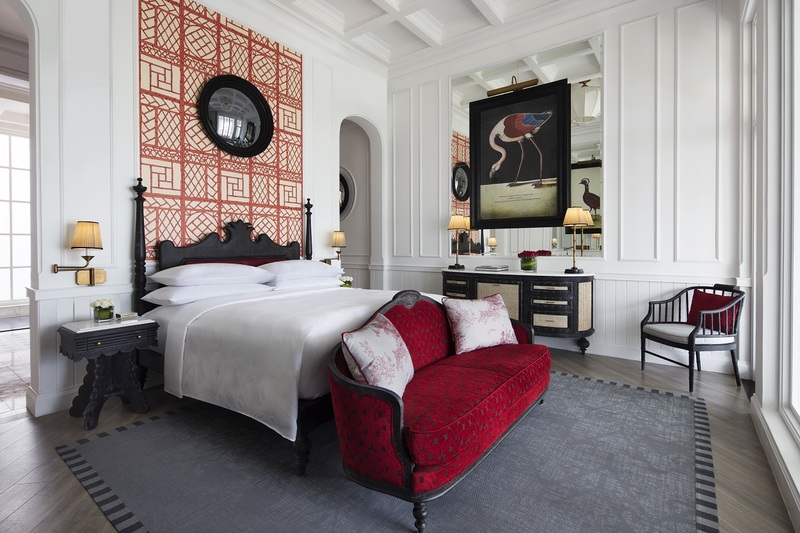 “I love grand storylines,” he says of the fantastical narrative he dreamed up for the project, the first five-star resort by an international brand on the island. Bensley was given carte blanche on the concept and implementation, which he executed with a near-maniacal attention to detail, commissioning photographer Martin Reeves to take infrared photos of buildings to model the architecture, sourcing antiques from Paris flea markets, installing local painted tiles in myriad colors and patterns, incorporating indigenous teak (favored by French colonial architects), and even designing the staff uniforms. Every building adheres to the theme, so rooms in the Department of Architecture are adorned with black-and-white photographs of pilasters and columns, bartenders concoct inventive drinks with house-made syrups and smoke in the Department of Chemistry, and the library features leather-bound tomes, billowing curtains, and silver trophies. (Other ministries include Zoology and Shells.) Re-creations of traditional shophouses and the spa line a connecting laneway dubbed Rue de Lamarck.